Could I please give you some information regarding the recent Festival and fundraising that is being done for the village ? V-Trees Festival was set up with a view to bring the community closer, generate revenue for the village and to try and put Resolven on the map (for a positive reason). 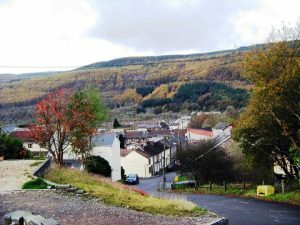 Since the credit crunch and the closing of TRW, Resolven has struggled as a community with very little to offer to the generations growing up as well as the generations who have lived here for many moons. Local business through advertising and increased tourists to the community. 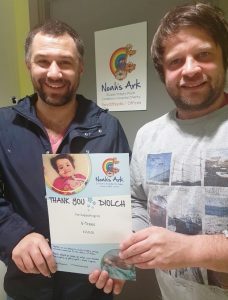 Despite the appalling weather on 28th July 2018, which affected trade, V-Trees was still able to raise £250 for Noahs Ark Appeal as well as a generous gesture of £50 to My name5 Doddie, which is research into Motor Neurones Disease. All of which was generated with a trouble free day.It is the aim of V-Trees to bring further entertainment to Resolven to help the community as well as generate funds for both local and national charities. V-Trees Presents is presently organising a Christmas party on 28th December 2018 where international DJ Ian Van Dahl is returning to Resolven, with this events Fundraiser going to Building Blocks Family Centre, Resolven. BBFC has been chosen because of the work it already does within the community is amazing and is essential to the village. I would like to thank all the local business that have supported V-Trees and look forward to working with you in the New Year where we have events penned in on 16th March 2019 and the main Festival on 26/27th July 2019. All of which was generated with a trouble free day. It is the aim of V-Trees to bring further entertainment to Resolven to help the community as well as generate funds for both local and national charities.